MagiCat is a retro-style action-adventure game with a hint of puzzle solving. The game was developed by Kucing Rembes and published by Toge Productions. 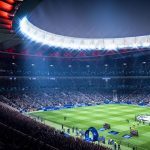 It was initially released on Steam on 22nd August 2017 and later released for Nintendo Switch on 20th September 2018. The inspiration behind MagiCat was retro games from the 16-bit era. MagiCat tells the story of a magical cat on a quest to retrieve an artifact that was stolen by a thieving monkey, and from there you traverse through 63 unique and increasingly difficult levels across 7 worlds. 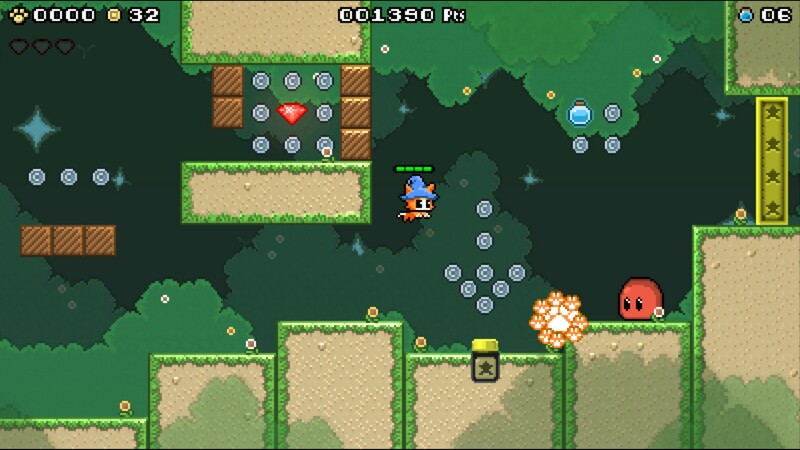 MagiCat uses a high jump, dashing and a powerful fireball to survive the treacherous levels, along with items that can be picked up as you progress through the story. Like most arcade-style adventure games, there are lots of coins and gems to collect, and the game has shops where you can stop to spend them. 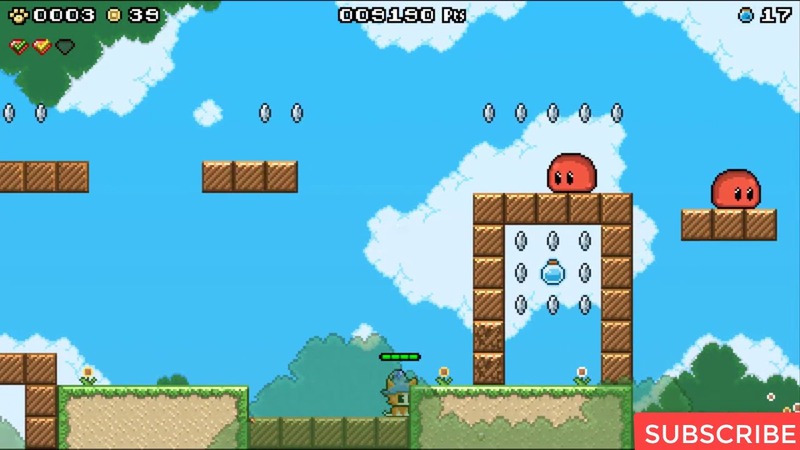 The game offers most enemies in the form of strange blob creatures that don’t look very evil, with a giant blob creature at the end of each level. The great thing about MagiCat is how cute everything is. The different levels are bright and colourful. The magical cat himself wears a little pointy wizard’s hat. Even the enemies are distractingly cute. 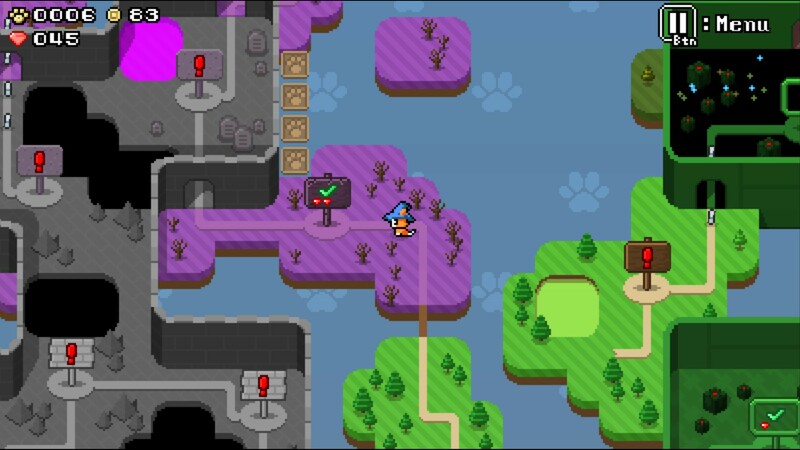 The world of MagiCat doesn’t look very dangerous, but given the chance, it will chew you up and spit you out. MagiCat may be adorable, but he is one tough kitty. MagiCat is extremely fun to play and feels very light-hearted. The levels don’t last very long, but they are full of exciting and well-thought-out puzzles that will test your reflexes. Playing MagiCat takes you back to a time when arcade-style video games were all the rage. In today’s market, it feels retro, but to me it makes me feel like I did when I was a kid, with nothing else to worry about but preserving the life of your main character or hero. The game feels very old school. The biggest issue with MagiCat is that you never know what is really going on. The story, or what little there is of one, is quite hard to follow. The reason for this is that MagiCat only speaks cat. A sentence may read “Meow, Meow, Meow!”, and even though it is realistic because he is a cat, it is so frustrating. Whenever there is a moment in the game where the cat is speaking, I find myself shouting at the screen. MagiCat is a wonderful world full of colour and brightness. It is extremely fun to play and is undeniably cute. The game makes no sense whatsoever, but that kind of adds to the charm. Still, the game can be frustrating because of the fact that you can’t understand what he is saying. It is also a very difficult and challenging game with levels that become harder and harder as you progress. Even though the game is frustrating in different ways, it goes without saying that the game exudes a light-hearted and old school feel. MagiCat is completely unique. I can safely say that I have never played as a magical cat shooting fireballs before. The game offers the opportunity to play as the cutest cat in the world whilst being a badass and solving puzzles. MagiCat doesn’t really have much of a story behind it, but a solid story isn’t really why players enjoy these types of arcade-style video games. MagiCat is a retro-style action/adventure game with a hint of puzzle solving. You play as a magical cat that is tracking down a thieving monkey who has stolen an artifact. 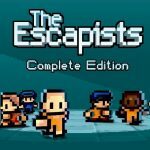 The game was inspired by the 16-bit era. 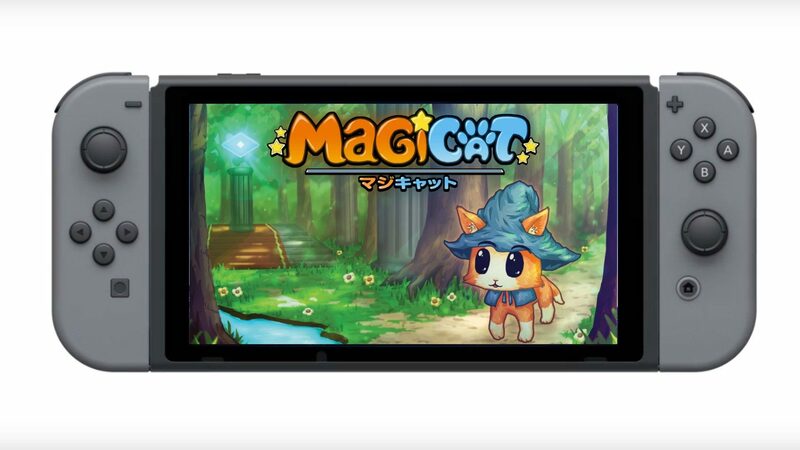 MagiCat is a lot of fun to play but can be very challenging, and although you wont be able to understand him, you will enjoy having hours and hours of adventuring with this cute little kitty.